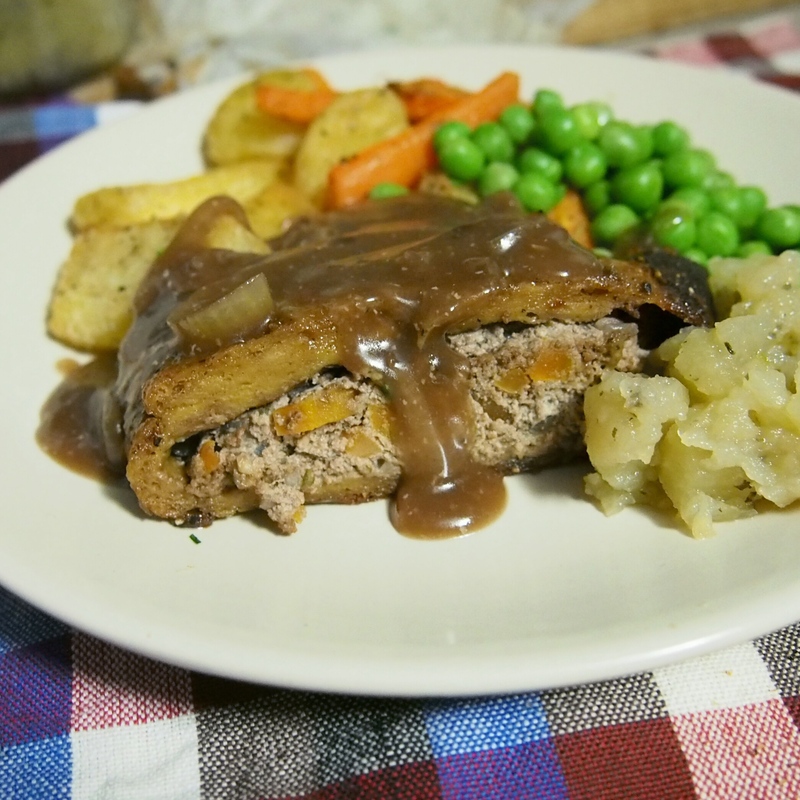 Whilst photographing the gravy for this post I realised how difficult it is to photography gravy… especially if you don’t have a fancy gravy boat and live on a boat where all your plates and bowls are plastic and battered. So don’t let the ugly brown goo pictures put you off. 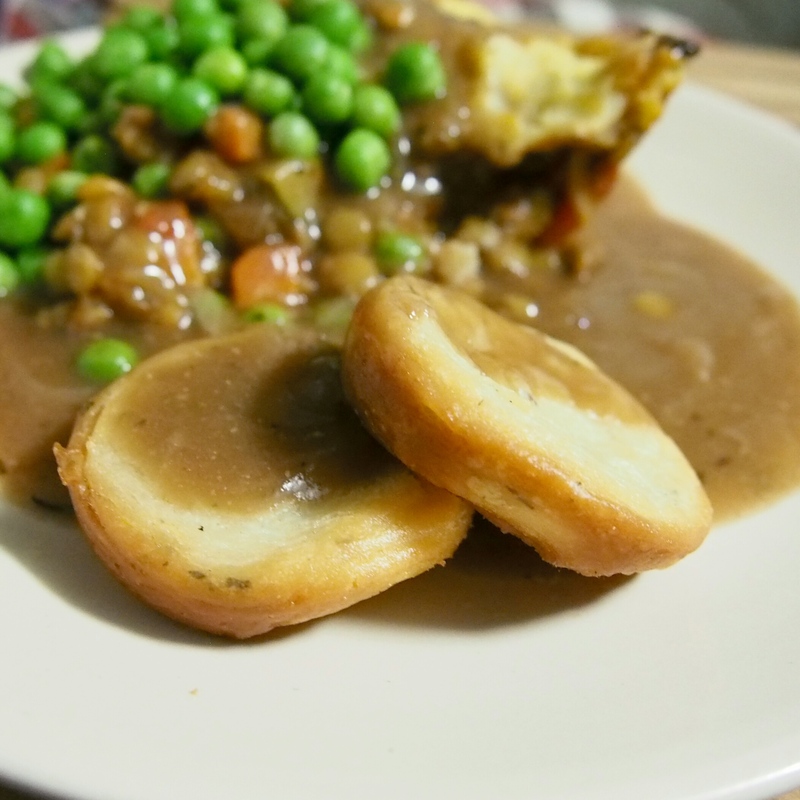 Its worth it and it would not be Christmas dinner without onion gravy! Heat the olive oil in a saucepan on a medium heat and add the onions. Cook onion, stirring now and then for a few minutes, add garlic, then continue to cook until onions are lightly browned. Turn up the heat, add the wine and simmer for 3 minutes to burn off the alcohol and reduce slightly. Whilst simmering, mix together the flour, cornstarch, nutritional yeast, dried sage, salt, thyme and pepper in a bowl. Add a little cold broth and mix into a paste, them add the rest bit by bit and mix well so there are no lumps. Whisk in soy sauce and pour into saucepan containing onions, garlic and wine. 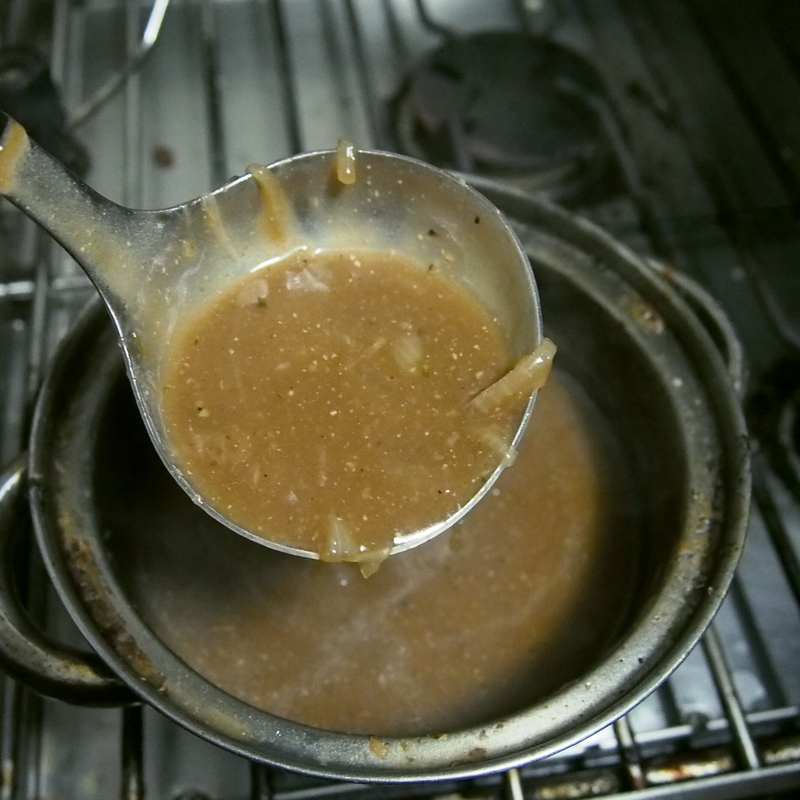 Bring gravy to the boil, reduce heat and simmer until thickened. Adjust seasoning to taste if desired and serve over a mound of roast potatoes, steamed veggies and any of the other awesome vegan treats you include in your Christmas dinner.